Are you a teacher looking for a new bow tie to wear to class? A professional wine taster looking to sport a seasonal bow tie? Or perhaps you're just the type of person that likes to wear bow ties because of their charm and classiness. 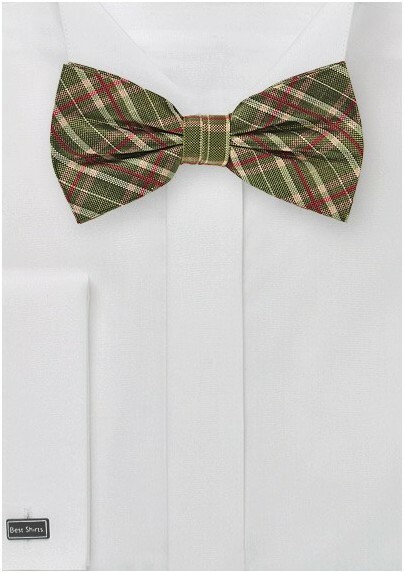 Whatever your case may be, this olive and red tartan bow tie is the answer. Pair with a brown wool blazer and cream colored chinos for best results. 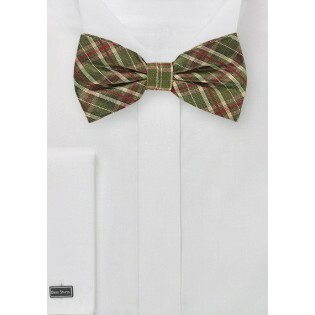 Made from pure silk and designed by Parsley, this bow tie is a high quality piece. 100% Silk | Style: Pre-Tied | Length: Adjustable to 20"